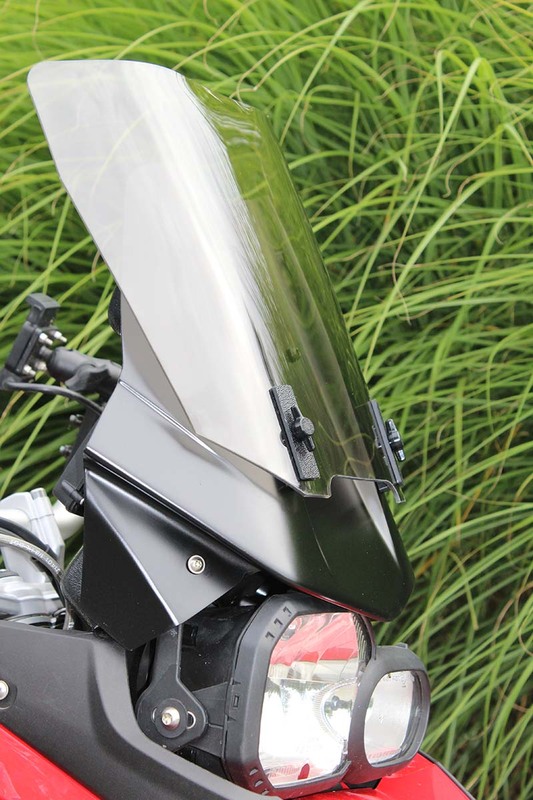 Mirage 2 Dual Sport Fairing – Britannia Composites Ltd. 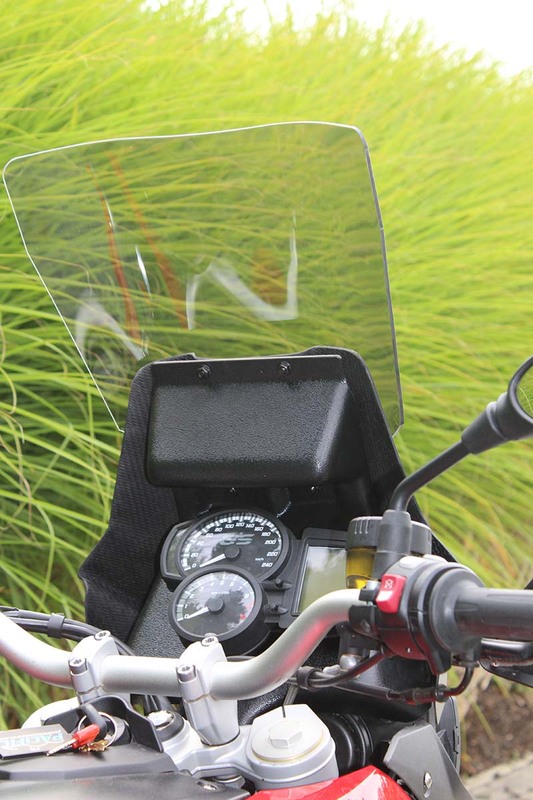 The Mirage 2 is specifically designed to improve the wind management and cockpit function of the 650/800 GS. 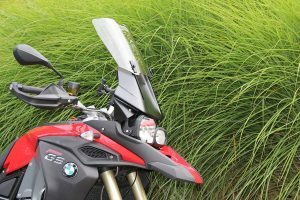 Again, we have adopted our tried and tested sliding screen system used on all our fairings to provide a smoother airflow at higher speeds along with height variability over 9”. There is a choice of clear or tinted screens. 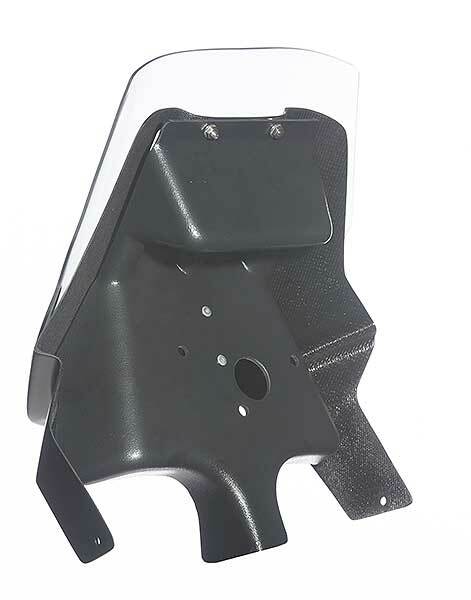 The fairing is constructed from the same high quality fiberglass laminate used in our other fairings, giving excellent strength and lightness and is finished in Satin black. 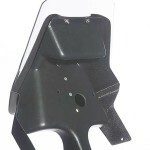 The fairing comes complete with an ABS dashboard that, not only improves the cockpit visually, but also acts as structural support for the fairing. As with all our fairings, the dashboard remains in place when the fairing is removed to allow access to all wiring behind it. 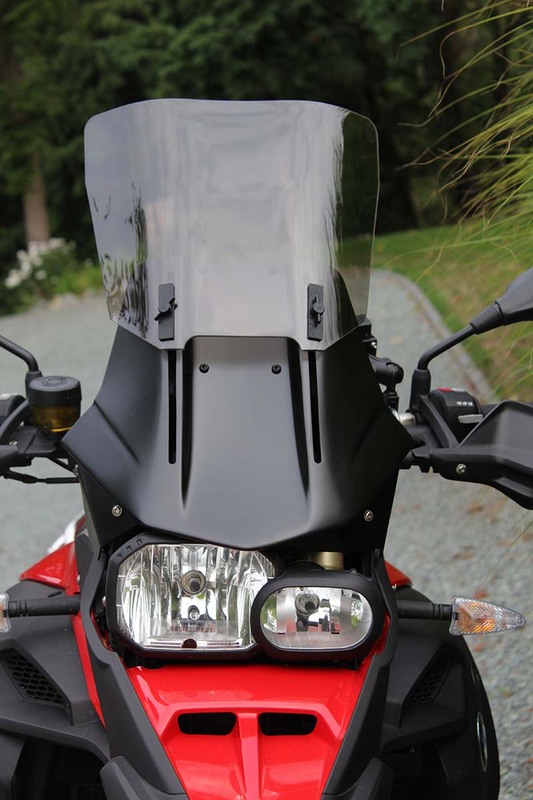 The OEM instruments are relocated onto the dash, which also incorporates a platform to mount a GPS in the ideal ‘head up display’ position above the main instrument. There is also plenty of additional space for fitting further switches and electrical sockets if required. 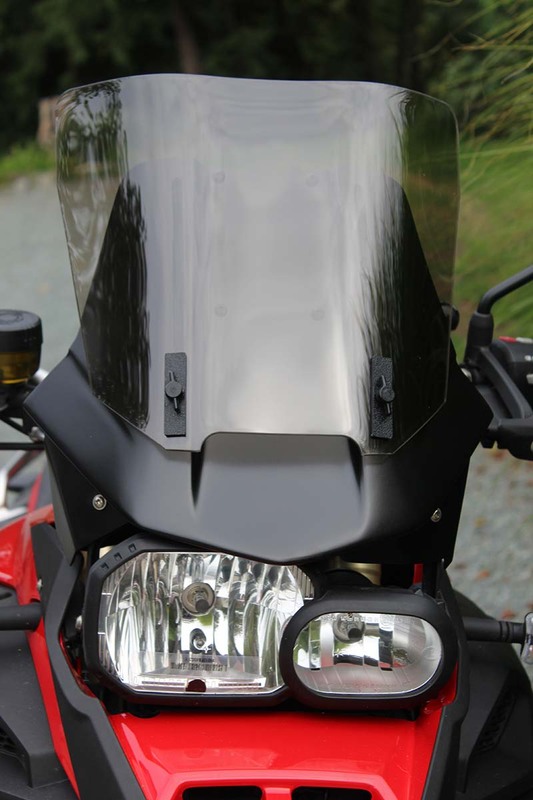 The fairing kit comes complete with the sliding screen (clear or tinted), dashboard and all fitting hardware and takes approximately 30 minutes to install. There is no drilling or cutting required as the system installs onto existing mounting points. © 2016 Britannia Composites Ltd. All rights reserved.